More than a dozen female sailors were forced to march in formation with buckets of human waste in a hazing incident that led to the firing on Friday of a high-ranking officer and the top enlisted sailor of a destroyer, the Navy said. Cmdr. Kenneth Rice, executive officer of the USS Jason Dunham, and Master Chief Petty Officer Stephen Vandergrifft were found guilty in non-judicial proceedings, the U.S. Fleet Forces Command said in a statement. An investigation found that on Oct. 15, a chief petty officer ordered 19 enlisted women to take human waste out of two nonworking toilets and place it in buckets, the Navy said. The chief petty officer then marched 13 of them with the buckets down to the pier to dispose of the waste in portable toilets. Lt. Cmdr. Reann Mommsen, a spokeswoman for U.S. Fleet Forces Command, told The Virginian-Pilot that the sewage could have been disposed of in functioning toilets aboard the ships and marching the women to the pier constituted hazing. She said some of the sailors were not given proper equipment to clean the toilets, the newspaper reported, which should have included coveralls, face shields, rubber boots and rubber gloves. 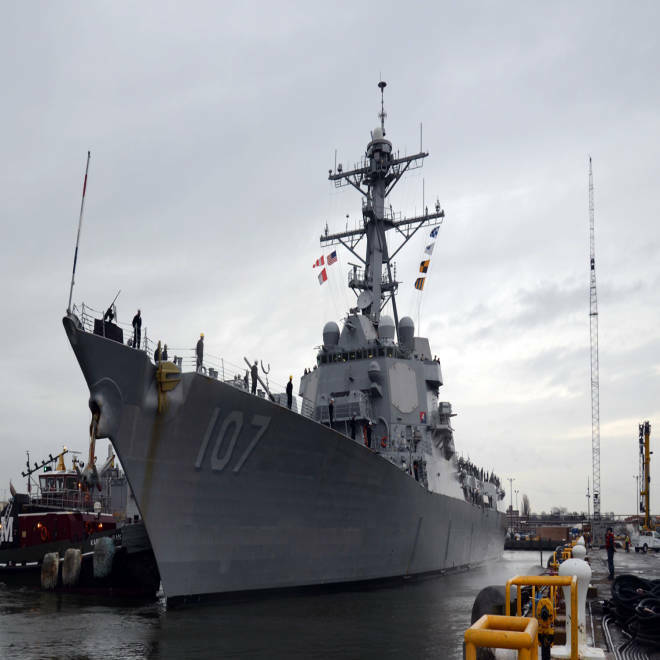 The Navy said the destroyer’s commanding officer, Cmdr. Michael Meredith, was initially unaware of the incident but acted properly when he was told about it on Oct. 21. The Navy said other crew members also were disciplined. The USS Jason Dunham is based at Norfolk, Va. The guided-missile destroyer was named after Medal of Honor recipient Cpl. Jason L. Dunham, who died in 2004 at age 22 of wounds suffered in Iraq.